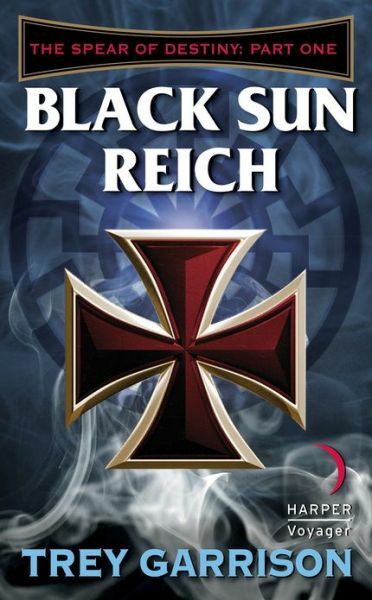 Black Sun Reich: The Spear of Destiny: Part One of Three by Trey Garrison is a thrilling return to the halcyon days of pulps and Saturday matinee serials. You know the ones – where you’d show up for a Saturday, watch your heroes go through a whirlwind of adventures fighting the bad guys, then end up on a cliffhanger guaranteed to bring you back to the theater the next week. Most of you are too young for that, but some of you have bought the DVDs of the old movies, (Batman and Robin from 1949, The Phantom, Adventures of Captain Marvel, etc). Or you can just imagine any of the Indiana Jones movies cut up into fifteen to twenty-minute segments and delivered weekly. Garrison delivers his equivalent in this three-book run in a steampunk world that’s interesting and provides plenty of peril for its protagonists. Interestingly enough, the sequels pick up with the very next chapters instead of starting over again at number one, which will be confusing for anyone who picks the books up out of sequence. The books are almost hitting the weekly matinee delivery schedule as well, which is a good thing, because waiting the tradition year or even nine months for the next installment would be frustrating. These are books meant to be consumed, not thought about or read deeply into. They’re just fun in a grand, old fashioned way. The choice of Kurt von Dietel as the main point of view character is interesting. Usually in these kinds of stories, the focal point is the hero, but Dietel is the filter for the reader and it works very well. He becomes almost a Watson in the overall scheme of things. Since everything is new to him, the reader gets introduced to things more in-depth. The novel’s world building is interesting as well. Much of it is conjecture that has more or less been presented in other stories, but that lends a loose foundation to everything Garrison is doing. There are a lot of historical people and events thrown into the mix as well, so armchair historians are going to have a blast with these books. The villains are straight out of those creepy serials: iron masks, demonic, and powerful. It’s gonna be fun watching the heroes catch up with the bad guys and give them a pounding. Garrison hasn’t created anything new here, but he’s delivered a whiz-bang story with all the bells and whistles, heroes readers can cheer for, and villains to boo and hiss. This entry was posted on January 9, 2013 at 9:20 am and filed under Adventure,fantasy,Novella,series fiction,Steampunk,Thriller,Young Adult. You can follow any responses to this entry through the RSS feed. You can leave a response, or trackback from your own site.